And climate. Too often we underestimate this detail, but in viticulture it is among the most important element everywhere in the world. No doubts that climate in Valpolicella nowadays is rather different from the past, and that viticulture has had to adapt itself to those changes. Consequently, now the wines are different from the past decades -not to mention other reasons more related to the technique or the customers' taste, of course- although the winery style may be the same at the time (or trying to be). 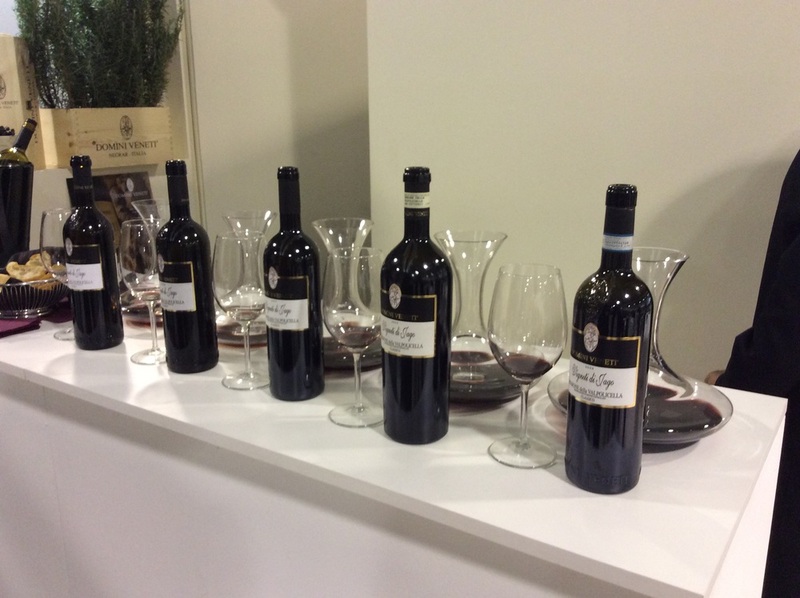 In the last Vinitaly, the Cantina "Valpolicella" di Negrar organized a quite interesting vertical tasting of its recent best vintages - 2008, 2005, 2003, 2000, 1997 - of the most important Amarone della Valpolicella: the cru "Vigneti di Jago". Daniele Accordini, the general manager and winemaker, showed us some charts and data about the climate in those vintages - sunlightining, rains, flowering time and other data - explaining how the practices of their viticulture and the winemaking process are adapting themselves and trying to correctly interpret the natural trends, in order to not distort the final result and support their usual style. "The knowledge of quantitative variables of weather (past, current, planned) is an important tool for innovation in viticulture" said Accordini "If climate has an influence on the style of a wine, we have to know how to manage it". Statistical analysis (analysis of discontinuity performed through the statistical test of Bai and Perron) indicates that a significant 99% thermal iscontinuity occurs between 1983 to 1999, and that the most probable year of this discontinuity is 1987. As result of this discontinuity, technically classified as "abrupt climate change", the average temperature in some European stations (and Valpolicella is among them) changes abruptly from 8.9 ° C in the previous period to 9.9 ° C for the period after 1987. Moreover, in the period 1996-2014 there were more rainy days, and more intense, than in previous years. Among ups and downs of temperature, from 1973 to 2013 the average temperature has been growing, while the temperature variations between nights and days are getting more and more crucial. "We cannot forget though that the close proximity to Lake of Garda has its influence as well- the winemaker specified - Thus, the more you move towards the hinterland, the more you perceive the temperature changes which develop color and flavors in the grapes". Furthermore, this climate change is putting forward many phases of the vine's life, flowering and harvest included. And what might we say about the wine, Amarone della Valpolicella? "In the Nineties, the appassimento (drying process) lasted until January - claimed Daniele Accordini - In the following years, more and more often the big concentration of sugar and the acceleration of ripening of the grapes obliged the producer to anticipate in December the pressing of the grapes and the vinification". In the cru map of Valpolicella, Jago is among the most renowned ones, located at 200-280 mt/asl, in Negrar territory. Its soil is made of marl, with thin slides of clay and silt, and the exposure is South-East. Here Cantina Valpolicella di Negrar (a cooperative founded in 1933, with 230 members and 614 ha of vineyards in Valpolicella Classica) cultivates the tipical local varieties: Corvina, Corvinone, Rondinella, Croatina. The vineyards are 15 years old and the growing system is the traditional pergola veronese. To quickly summarizIng the winemaking process of this Amarone "Vigneti di Jago", we might say that the manual and careful harvest is in September/October, the appassimento lasts till January, after that the grapes are again selected and softly crushed. The fermentation at low temperature lasts till March, then the devatting follows. The aging in big barrels goes forwards for 2-5 years. The bottling is usually scheduled in January, and in the following 6-12 months the wine rests in the bottle. Afterwards, it's finally ready for the market. And now, the wine! As we said before, in this technical tasting reserved to the wine professionals we tasted 5 vintages. The following are my personal notes. 2008: the youngest Amarone. In the mouth is hot (16.90% Vol! ), at the nose reminds the plums, the sweet spices and some dried fruits like the apricot. It's silky on the palate, large and sumptuous. 2005: at the nose, I find dark flowers (violets, rather typical in Negrar territory) and a range of flavors: uts, husk nut, balsamic herbs, cinchona. The same in the mouth, with the provision of licorice, coffee, cocoa due to the aging in oak. 16.35% Vol. 2003: a quite tough vintage. This Amarone lacks of liveliness, and expresses notes of cooked must. Even the color looks more evolved: the closure is slightly bitter. 16.10% Vol. 2000: the most balanced vintage of the row. In 2000 the summer was fresh, with warm sunny days and sometimes pleasant rainy moments. The wine is really well balanced: at the nose reveals dried fruits, dark flowers, cherry in alcohol, plums, blond tobacco, leather... In the mouth is elegant, smooth, structured yet drinkable. 16% Vol. 1997: the oldest Amarone is also the "lightest": just 15.95% Vol. It's still fresh, salty and mineral, with scents of red flowers on the nose; it's elegant, evolved, balsamic as well. Its taste reminds the chocolate and mint and some canned fruit. Great to be drunk. Now it's the time!